Home BOLLYWOOD Ileana D’Cruz Opens Up On Getting Eve-Teased, Gets Trolled! 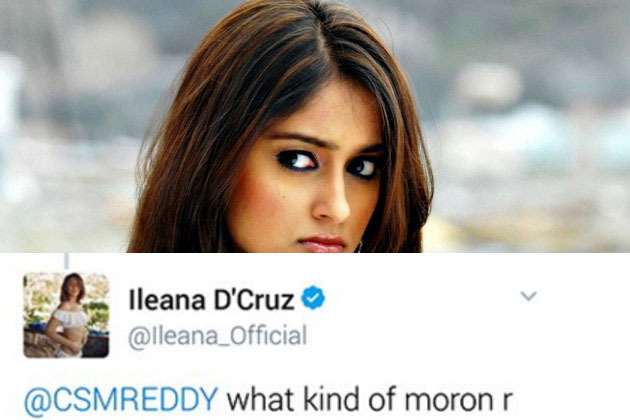 Ileana D’Cruz Opens Up On Getting Eve-Teased, Gets Trolled! Ileana D’Cruz, started out her career in Bollywood portraying a character of simple girl next door in Anurag Basu‘s ‘Barfi!’, surprised everyone recently when she shared her most sensual and beautiful photos clicked by her Australian photographer boyfriend Andrew Kneebone. The model-turned-actress would have never though that when she would speak about being harassed and eve teased in public, that she would have to be a social media victim and be trolled! 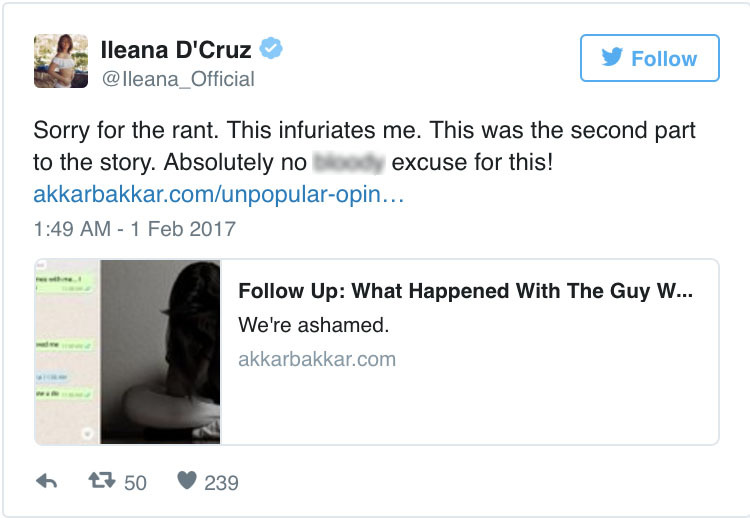 An article written by a woman who was being blackmailed by her ex-boyfriend titled ‘I’m Leaking My Ex’s Dirty Messages And Voice Notes Because He’s Left Me No Choice’, went viral on social media. What followed was completely unnecessary and unacceptable. 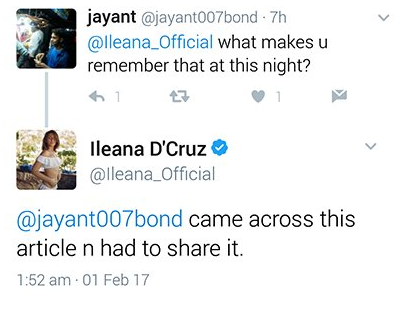 A person with the handle of Jayant007bond, questioned her intentions for posting about eve-teasing late in the night and then another blatantly asked Ileana if she was simply “ho*ny”. It is quite unnerving to see this especially because earlier when Anurag Kashyap had shared the same article, questioning ‘Why is this man not exposed?’, he received tremendous response from his fans and followers. 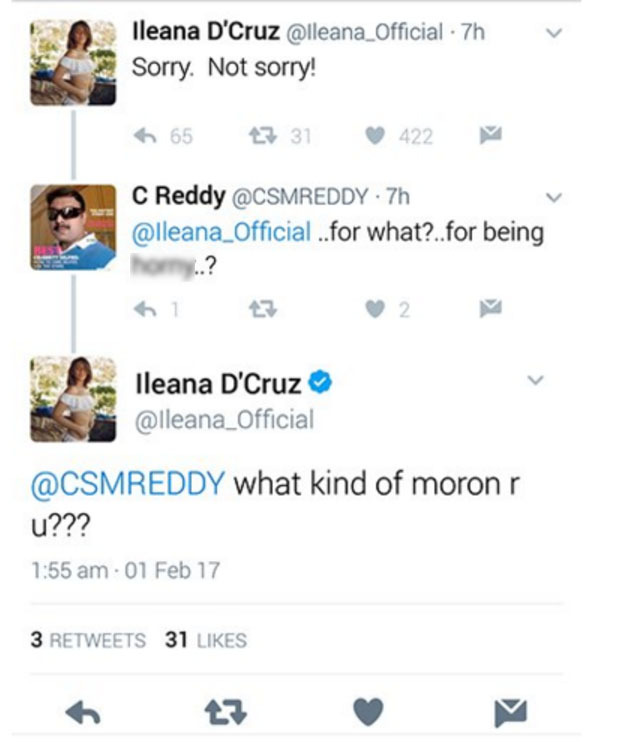 It is great that Ileana is a strong voiced woman who shut the trollers up and has always been outspoken. She also stole the headlines for posing n*de as her boyfriend’s muse. After Rustom, Ileana will be now seen in Ajay Devgn starrer Baadshaho and Mubarakan opposite Arjun Kapoor. Mubarakan also stars Anil Kapoor and Athiya Shetty. Previous articleShah Rukh Khan’s Raees Vs Hrithik Roshan’s Kaabil: Who Won The First Week Worldwide Box Office Battle!